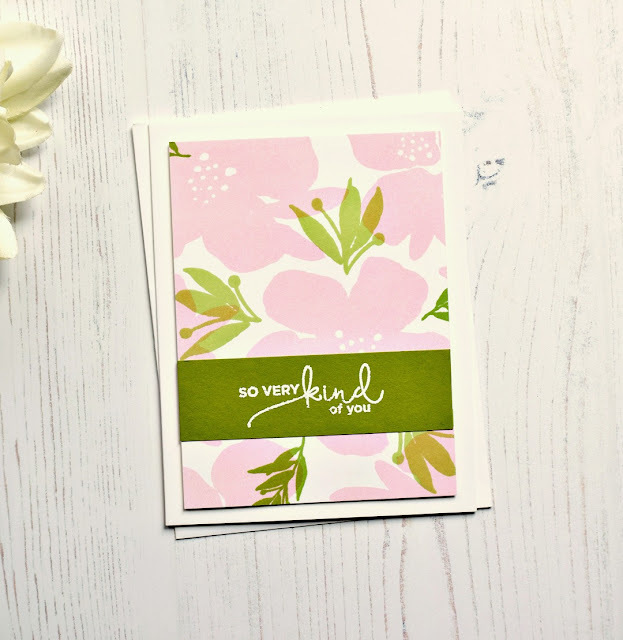 Started with a lovely digital paper that I printed out on Neenah Solar White. The pink flowers on white paper is from The Lovely Studio. 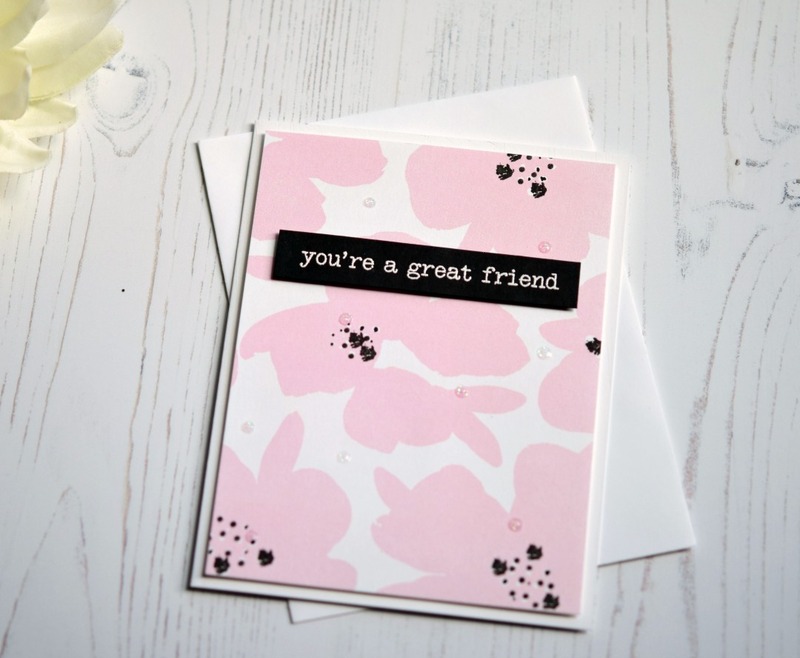 You could easily stamp your own pink flowers on white cardstock instead or just use patterned paper. 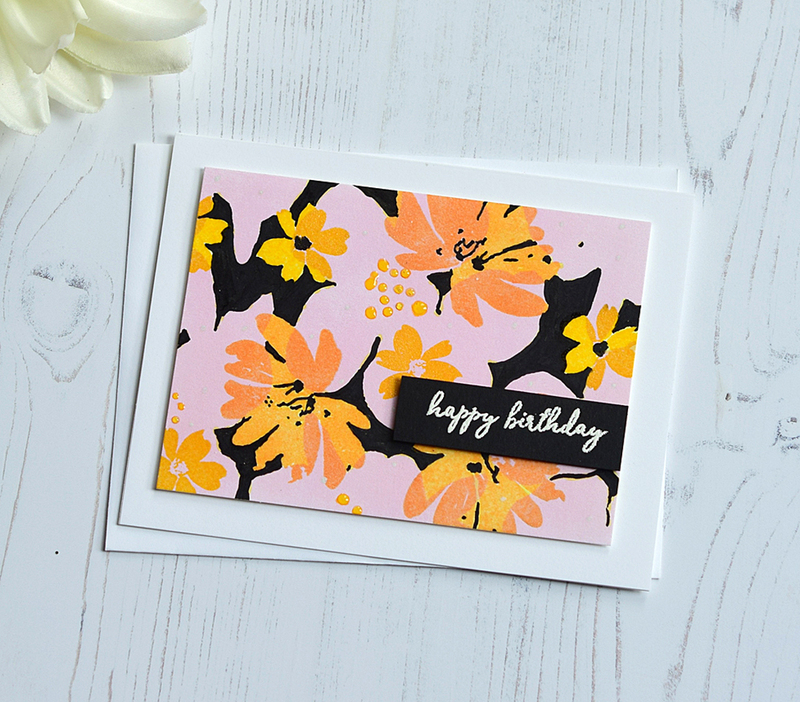 Stamped flowers from the Stamp Market's Watercolor Bouquet in yellow and orange onto the patterned cardstock and embossed in clear. Carefully colored the white portion of the patterned cardstock with a black Copic. 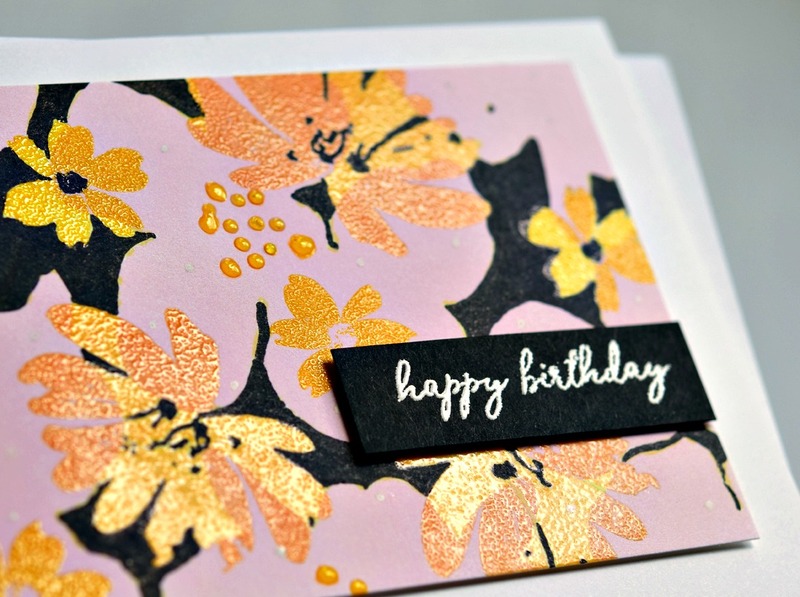 A close up of the embossed yellow and orange flowers. Two more cards made with the same paper. MOOD WHEN DONE = Fine! Hope your weekend is a good one. this is such a fantastic idea Joan - love the first card in those colors! You are creating with BRILLIANT techniques:)) Simply Splendid Joan! Your creativity amazes me. Beautiful cards. Wow! Who'd have thought? Glad you showed the next two cards to compare where you started. They're plenty pretty as they are, but the first card is fantastic! OH Joan, these are so pretty, what a great idea! The embossing on the first one is beautiful... It certainly ramps up the WOW factor! I enjoy using digital paper, but I must admit I never thought of stamping over it. Thanks for showing me a new take on using this type of paper. Lovely cards. I will try and case using Altenew stamps. You are such an inspiration Joan!